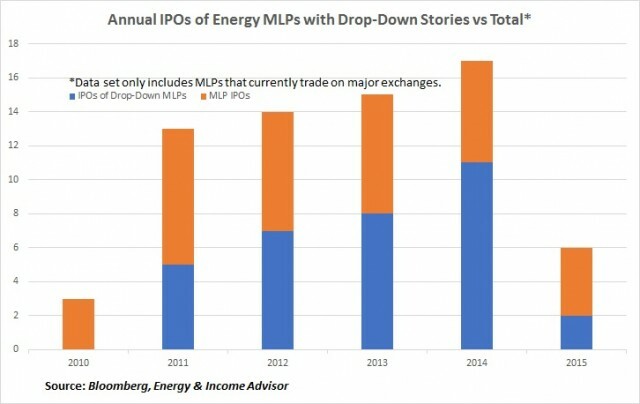 MLPs with highly visible drop-down pipelines also tended to deliver massive outperformance after their initial public offerings (IPO), as investors piled into these names for outsized distribution growth. 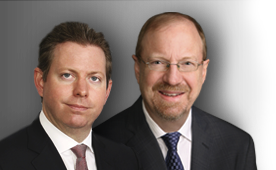 From 2011 to 2015, many of these stocks—highlighted in green—appeared among the top 10 performers by total return. 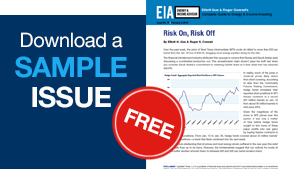 This strength was particularly pronounced in 2014 and 2015, when weakness in oil prices prompted investors to gravitate toward safety-first fare. 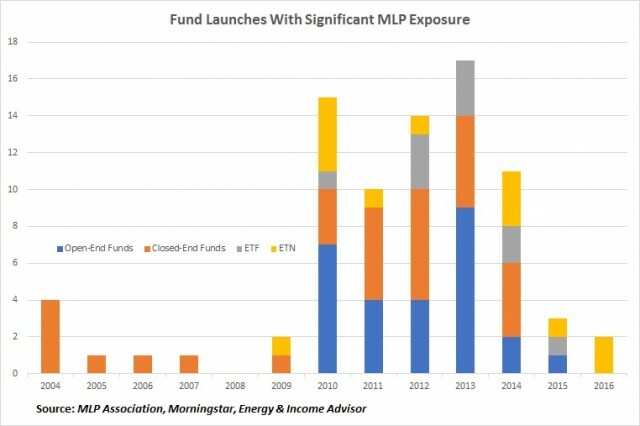 Our investment strategy also veered in this direction, with a handful of drop-down stories joining the MLP Portfolio over this period. 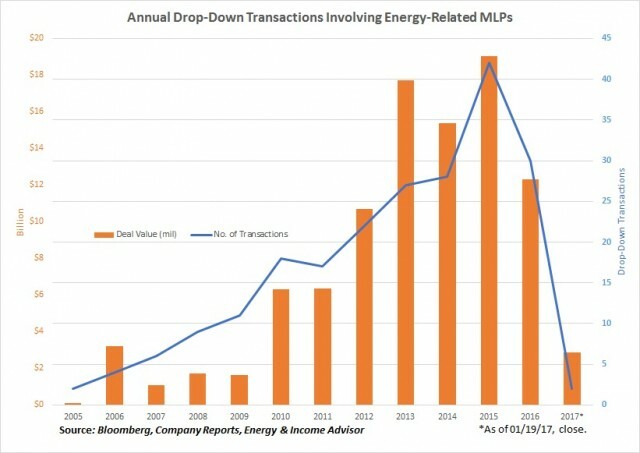 Although this overweight position worked for a time and these stocks held their value reasonably well during the down-cycle, MLPs that rely heavily on drop-down strategies have underperformed since the start of 2016. 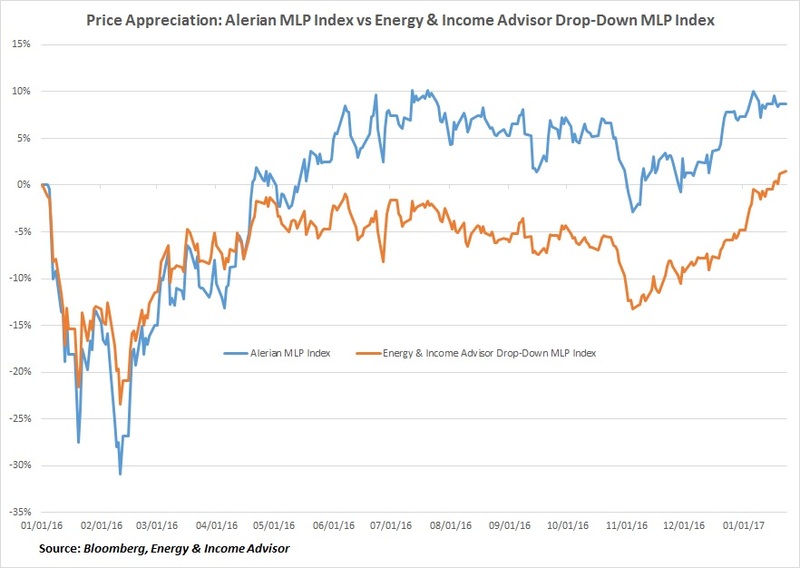 Over this period, the Alerian MLP Index has rallied 8.7 percent, while the Energy & Income Advisor Drop-Down MLP Index–an equal-weighted basket of partnerships that expect to generate the bulk of their cash flow growth through asset acquisitions–has gained only 1.5 percent. Both return figures exclude distributions.